Do your in-laws cause rifts in your relationship? 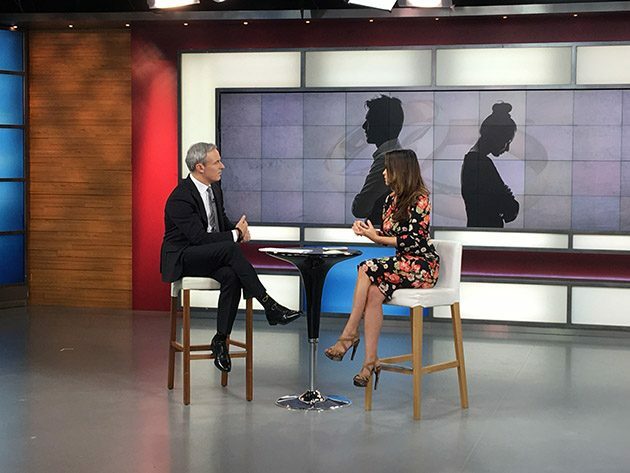 This morning on Global TV’s The Morning Show, I discuss why these conflicts exist and what you can do to avoid them in the future. Check out my advice and the video below. A British study suggests in-laws are to blame for marital strife. According to the 2000 husband and wives surveyed, 60% blame their in-laws for fights in their marriages. 20% report that they lack privacy in their relationship because in-laws drop in unannounced and/or overstay their welcome; this would certainly vary by culture, as in some cultures (like mine! ), it’s not uncommon for parents to live with their grown-up children. 19% report that borrowing money from in-laws (for home purchases) may be to blame for their interference in their relationship. One-quarter report that they would not have gone through with the marriage had they known how bad the “in-law” problem would be. 18% have considered splitting up because of in-law related strife and ten percent have done so. 2. Why do these relationship conflicts exist? Research suggests that the role of in-laws shifted significantly around the turn of the 20th century. Prior to the 1900s, your in-laws were a part of the marital package and sometimes you selected your partner based on their family. Their parents weren’t an addendum to the marital package — they were a core component of the marital selection process. The shift in the early 20th century was quite extreme — all of a sudden you were supposed to form a new family with your spouse and separate your lives from your parents’. This conventional wisdom still exists today. This shift may be incomplete, however. People feel torn between their birth family and their chosen family and feelings of jealousy, competition, transference and role displacement are common. 3. How do you get along with your in-laws? First, you drop this nonsense about taking sides. You and your spouse are a team. If your in-laws want to be a part of that team, they need to modernize their role. Next, talk about your feelings. 22% of those surveyed say they hide their true feeling from their partners and this is highly problematic. You need to let your partner know how you feel and you need to ask for their support. Learn their love language and show them that you care. Whether they prefer receiving gifts, words of affirmation or quality time, make an effort to convey that you care in a manner that they understand. Show gratitude for their support. If they help with your kids or offer financial support, acknowledge it. Say thank you often. Don’t diminish their efforts with a casual, “But they love spending time with the kids”. 4. What if your spouse feels “stuck in between”? I’m of the belief that you need to support your partner — especially in public. Even if you disagree with them, you need to present a united front, so tell them exactly what you need in order to feel supported. 5. What if you just don’t get along? Stop looking to blame your in-laws and look at yourself first. Are you jealous? Threatened? Are you projecting emotions drawn from other relationships — perhaps with your siblings or parents? It’s not a one-way street. And if you’re planning a wedding, address these issues now. It won’t get better. Research shows that how you feel toward your in-laws before the wedding is intensified once you’re married, so if you’re already dealing with conflict, it will likely intensify.